Alec Guinness was a great actor. He was also a brilliant diarist and writer. In his autobiography, Blessings In Disguise, he recounted the story of a practical joke he played on none other than Grace Kelly, and the way it developed into an unspoken game between them that stretched over 26 years. In 1956, the actors appeared together in The Swan, a romantic comedy that was filmed in North Carolina, and the first movie Guinness made in the United States. During filming, he was given a tomahawk as a gift by a local Native American, and—being on the mischievous side—he tipped the porter at the cast’s hotel to slip the tomahawk into Grace Kelly’s bed. She never once mentioned the joke. 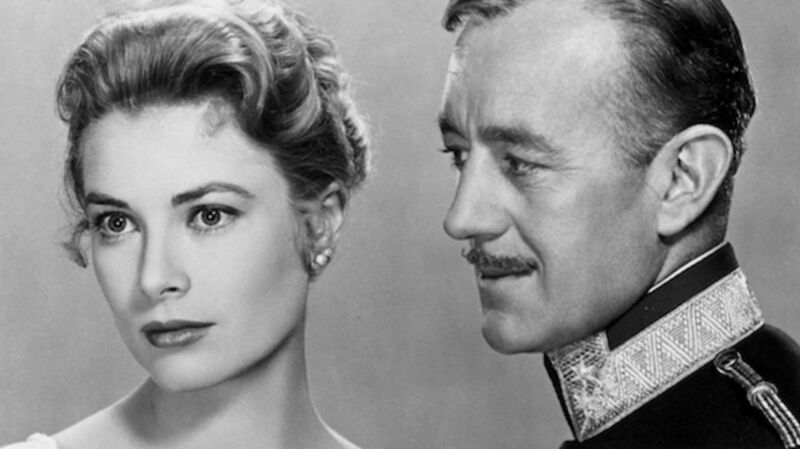 Years passed, during which time she married Prince Rainier of Monaco and gave up film acting. Then, one night in London, Guinness returned home from giving a theatrical performance and found the same tomahawk between the sheets of his own bed. Nobody, including his wife, had any idea how it got there. A few more years passed before it was announced that Kelly would be doing a tour of poetry readings in the U.S. with actor John Westbrook. Guinness didn’t know Westbrook, but arranged for a mutual friend to ask for his help, and then deliver the tomahawk to him, which was placed in Kelly’s bed once more. She gave no sign of having found it there, but only asked Westbrook in passing if he had ever met Guinness, to which he could truthfully reply that he hadn’t. In 1980 the tomahawk reappeared once more, in Guinness’ bed at California's Beverly Wilshire Hotel, after he received an honorary Oscar at the Academy Awards ceremony. Kelly didn’t attend the ceremony, and how the tomahawk found its way back to him on that occasion remains a mystery. More time passed. Kelly traveled to Chichester, England to give a reading with Westbrook once more. The tomahawk found its way into her open suitcase upon her arrival, buried within her lingerie, and Westbrook reported hearing a “satisfying scream” upon its discovery. She returned to Monaco, with the tomahawk, but died in a car accident shortly thereafter, on September 14, 1982. Guinness continued to work in film for many more years, making classics such as A Passage To India (1984) and Little Dorrit (1987), until his own passing in 2000. But he never did make a Western, and so it’s strange that a tomahawk should be the item that gives us a lasting insight into what an interesting and good-humored person he was. This post originally appeared on our UK site.